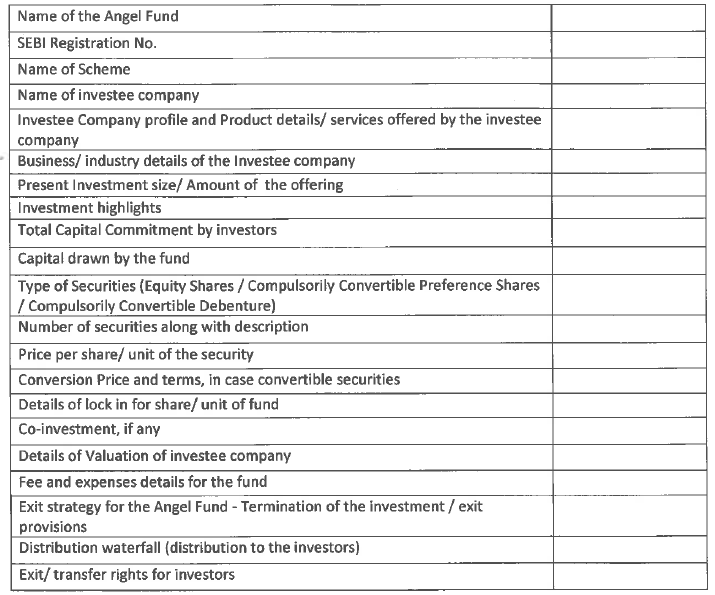 SEBI Circular on "Filing of Term Sheet by Angel Funds"
1. In order to provide ease of doing business to Angel Funds, SEBI had formed a working group to study SEBI (Alternative Investment Funds) Regulations, 2012 (hereinafter referred to as 'AIF regulations') and suggest changes required, if any. 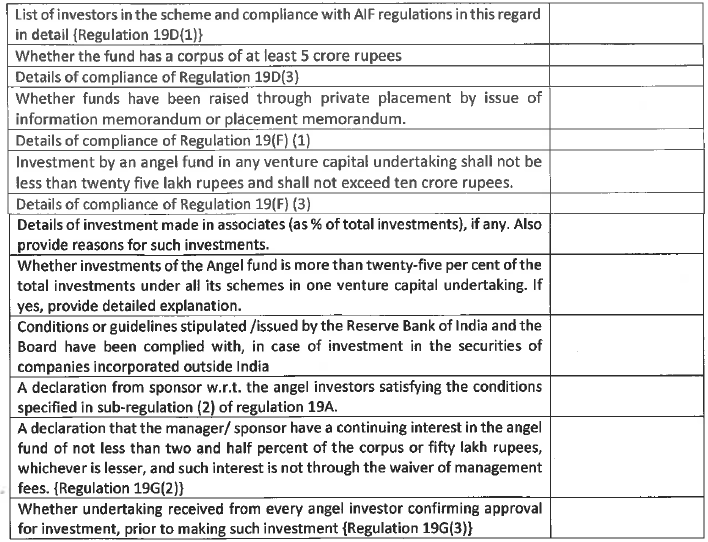 Based on the recommendations of the working group, SEBI has amended the AIF Regulations vide notification dated June 1, 2018 (copy of the notification enclosed as Annexure I), simplifying certain regulatory provisions regarding the Angel Fund including Regulation 19(E) which deals with filing of scheme details with SEBI. 2.3 such Term Sheet shall be filed with the Board within ten days of launching the scheme. 3. This circular is issued in exercise of powers conferred by sub-section (1) of section 11 and section 11A of the Securities and Exchange Board of India Act, 1992 read with the provisions of the AIF regulations, to protect the interests of investors in securities and to promote the development of, and to regulate the securities market. The provisions of this circular shall be applicable with immediate effect. 4. This Circular is available on SEBI website under the categories "Legal Framework-Circulars" and "Info for - Alternative Investment Funds".